I’m always looking for ways to step up my Cricut game. Everyone knows I love making home decor with my Cricut, and in the spirit of fall and Halloween coming up I thought I would try something new! 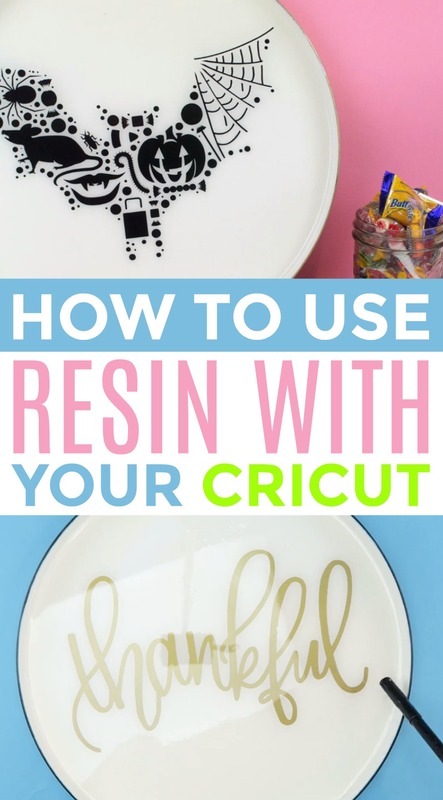 I want to show you all how I created this beautiful Resin using your Cricut. We made them with Cricut Permanent Vinyl, and it turned out great. 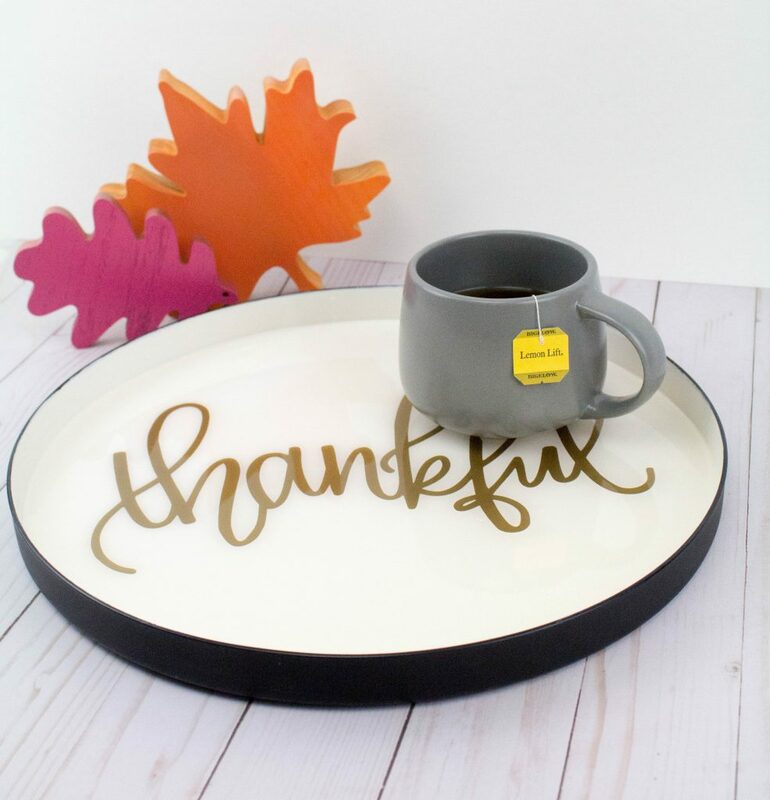 The resin really gives these trays a professional look. 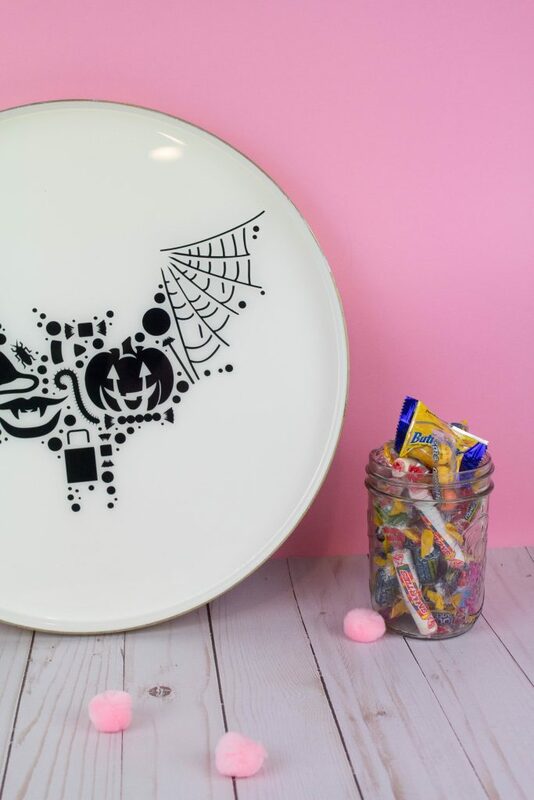 They’re perfect to use during parties to serve snacks or just to decorate your home with. 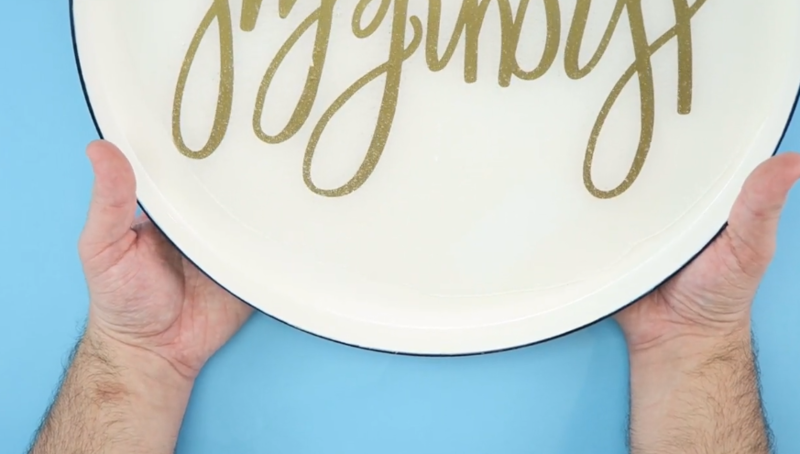 We got these trays for next to nothing and transformed them into super fun DIY Home Decor. Make it now in Design Space! 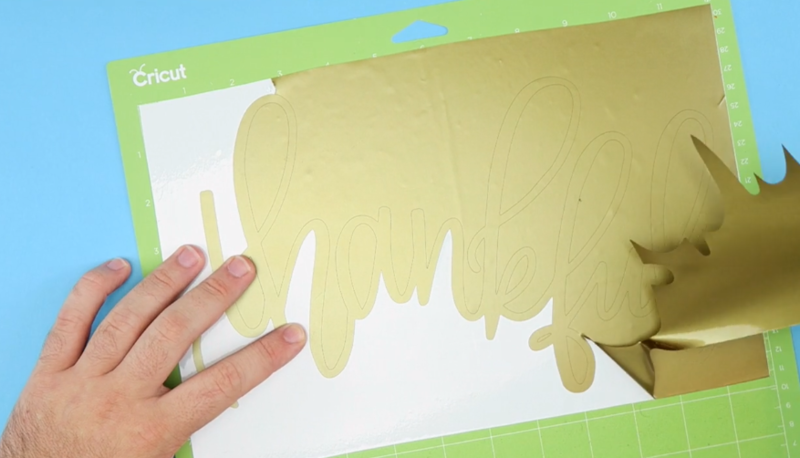 Step 1: Open the link below and cut out using your vinyl. Step 2: Weed your project and apply transfer tape. 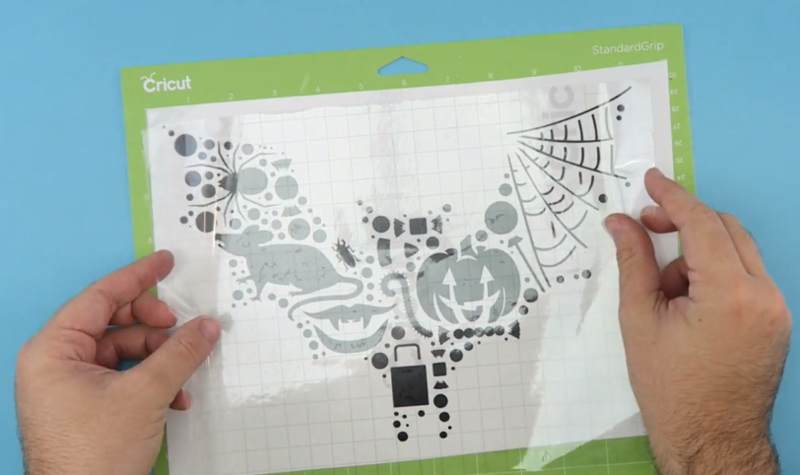 Step 3: Open the Halloween project link below and cut out using black Cricut vinyl. 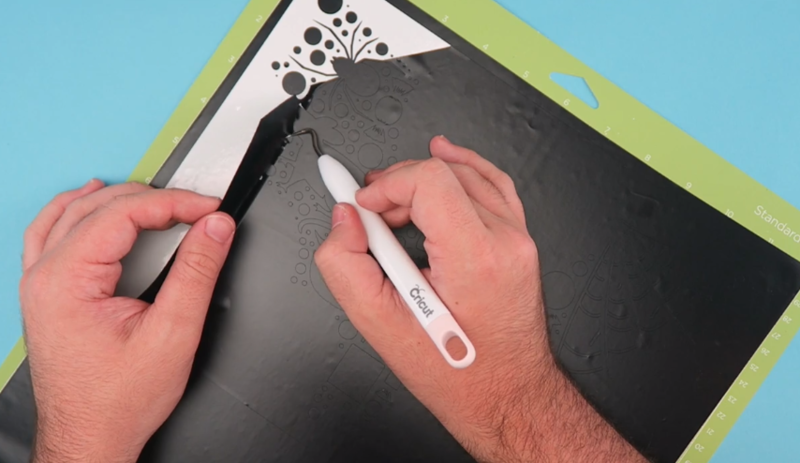 Step 4: Take your time wedding this project, look how great the Cricut cut this intricate image. 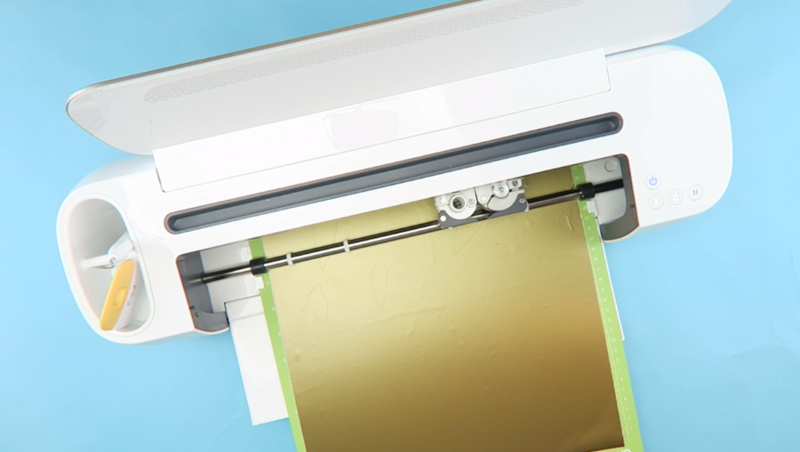 Step 5: Apply transfer tape. Step 6: Apply both of your images down to the tray. Step 7: Follow mixing procedure on your resin. Ours was half and half mixed together for 3 minutes. Step 8: Pour resin on the tray. Make sure it is each to cover the entire tray. You can always easily add more resin. Step 9: Level out your resin. Step 10: As it sits, you can take a lighter to remove any bubbles. Step 11: Let sit for 8-12 hours and enjoy your two different trays for this season! 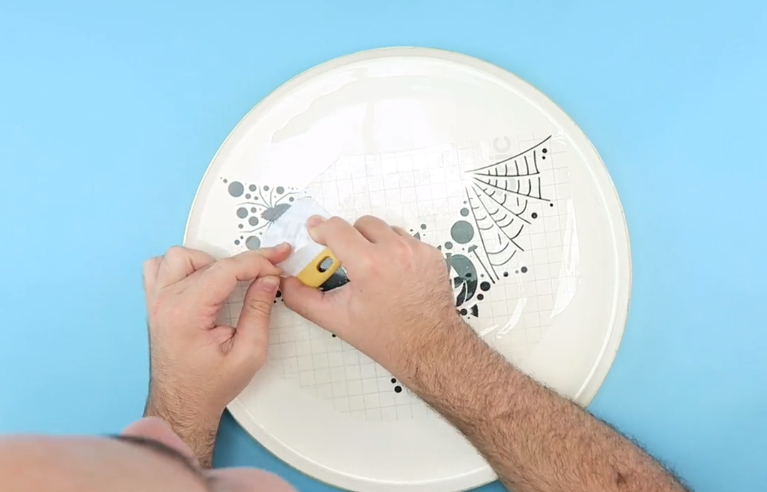 I love how these trays turned out, and what about that nifty lighter trick?! Before I found that hack I was sitting there popping every little bubble and hoping it would look better. That lighter gives it a crystal clear finish. 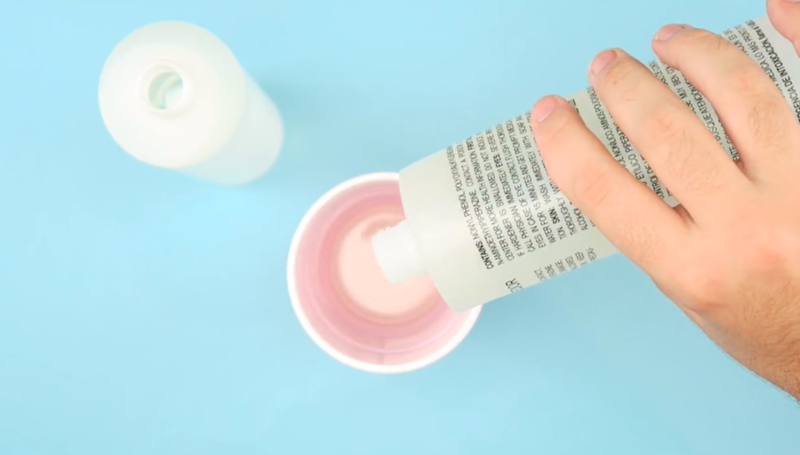 I found this little craft hack in this post. 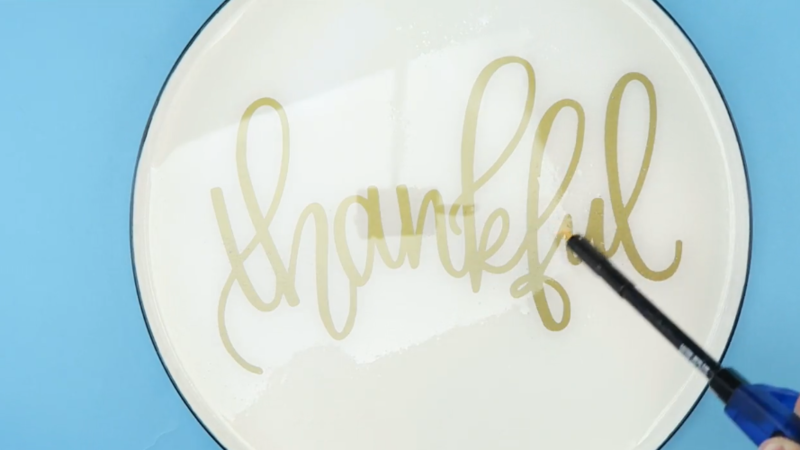 I hope you enjoyed learning how to make your own DIY Holiday Serving Trays. 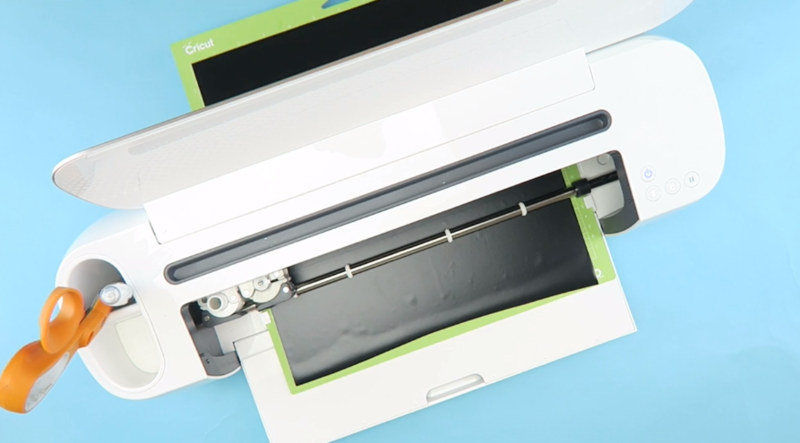 We love the permanent vinyl that Cricut has too, it’s a lifesaver on projects like these.